Maps, for easier legibility are simplifications of actual places. Through mapping projections – the practice of transforming the three-dimensional surface of the earth onto a two-dimensional plane – the graphic description of the landscape generally represents a version of a landscape that is greatly distorted from reality. Perimeters and cartographic grids constitute a network of lines on the landscape that determine and define place. Borders really only exist on maps. The geographic boundaries that they demarcate are conceptual and political, not, even when they hug a defined and specific geographic feature, are not defined by any force in nature. They are drawn by humans and only traced on the cartographers map. A line that looks so neat and precise on a map can be much more complicated on the ground. An example of this complexity is the international ‘line’ that runs through the community towns of Stanstead, Quebec, and Derby Line, Vermont. The towns were founded in the late 1700s, and at that time the boundary line was meaningless. Presently, the border runs right through the community, cutting through the street grid, running through a factory, a combined library and opera house, and a number of homes — a family might cook dinner in the United States and eat it in Canada! Barrier on Lee Street from Canada looking into the United States. 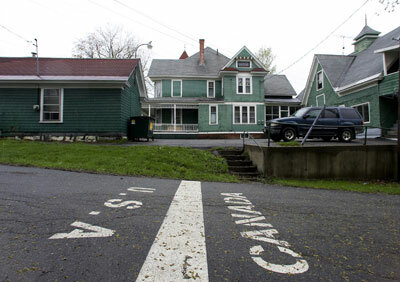 American residents who live on the south side of Canusa Avenue, a street in Canada, must report to a border post every time they pull out of their driveway, since they have entered into a new country. An interesting situation occurs in the residential buildings that straddle the Derby Line/ Stanstead border. Residents do not need to report if they cross the borderline inside their homes. The building’s interior ends up being a bubble in the otherwise ‘neatly’ demarcated borderline – the home is a kind of no-man’s land or neural zone, a man’s home may be his castle but here it is his own country. The border engulfs the building on the exterior but doesn’t circumvent the interior of the building. However, residents do need to report if they leave out the side of the building that opens on to a different country than the one they entered into the building from. The most prominent building on the line is the Haskell Free Library and Opera House. 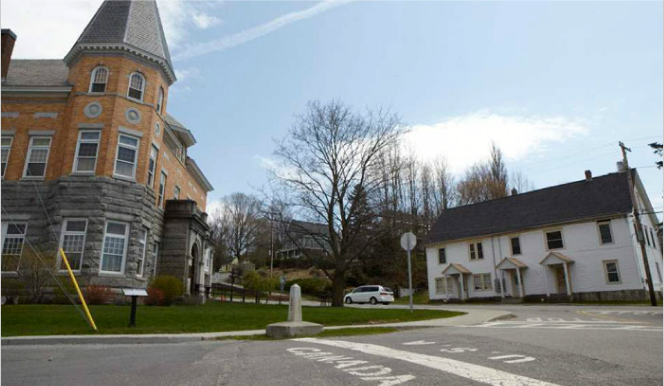 In 1904, in memory of her husband Carlos Haskell, Martha Stewart Haskell built the building on the international boundary so that everyone could use it, as a gift to the community. Both entrances, one leading into the library, and the other to the opera house/theater are in the United States, however, the performances take place in Canada, while the audience sits in the United States. Even though the building interior is also considered a ‘neutral’ zone, the bureaucracy of city planning codes and jurisdictions change the dynamic of the space. 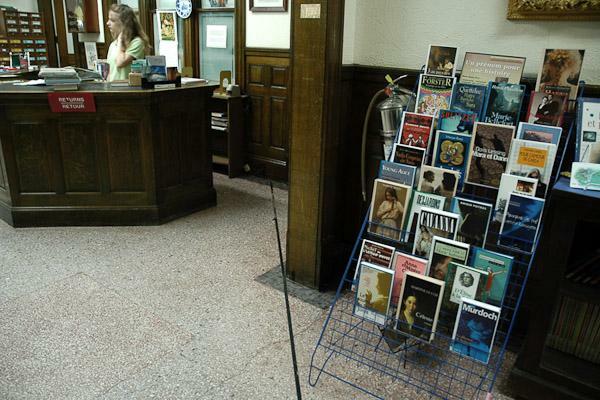 The line painted on the floor inside the library and opera house is more than just a novelty. It was required in order to show which portions of the structure and furnishings would be covered by the separate Canadian and American insurance policies. Also the toilettes are located on the line so a plumber from each country need to be hired to make sure the appropriate safety standards were adhered to.